There are few things in life as heavenly as relaxing in a comfy recliner with a cup of hot coffee and a good book after a tiring day. If that makes you go sigh! I can’t afford to a get a recliner for my city apartment or condo’ then we have some news for you! Just because you have limited space in your apartment doesn’t mean you can’t pamper yourself with a nice wall hugging recliner. There are especially designer recliners for small spaces and they provide all the comfort and support you can expect from the standard options. These space-saving recliners are small enough to easily fit into your living area, family room or TV room. If you look online, you will find a wide range of designs, colors, and features to choose from. 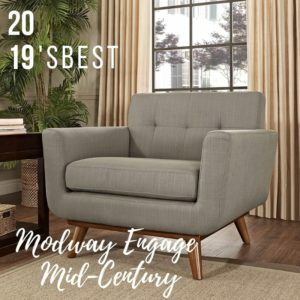 To make it easier for you to nail that buying decision, we have created a list of 10 best recliners for small spaces, with their features, pros, and cons. So, take a deep breath, grab a mug of coffee and read on. When you look at this beautifully designed rocking recliner, you can say that it spells comfort. It has been created with extreme care, with just the right dimensions to perfectly accommodate an average sized person. The exterior is made from Kelly bark microfiber upholstery which not only adds an extra dash of opulence to the recliner but also makes it extremely comfortable. You can change the position of the recliner with a simple pull of the lever to make a suitable for sitting or sleeping. The lavish rolled arms and cushioned pillow back make it the perfect furniture to kick back and relax after a long tiring day. We love the rocker feature that comes as a bonus for a nursing mother. 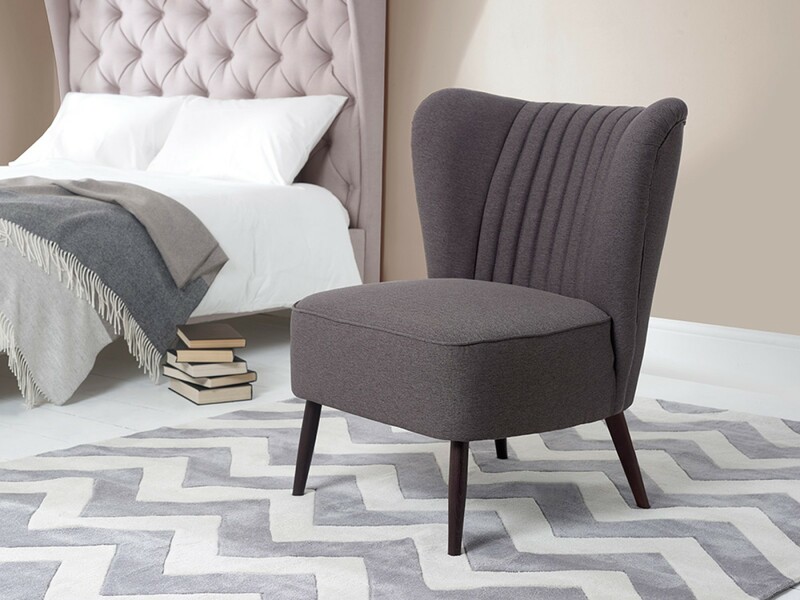 The BONZY Lift Chair has an air of sophistication about it. You get a recliner and power lift rolled into one well-designed piece of furniture that perfectly matches any home décor. It comes with a remote that can be used to recline the chair in a comfortable position to catch some much needed zzz or lift the chair slightly to help you get on your feet. The soft cover feels comfortable on the skin and thick cushioning provide extra support to help your body de-stress and relax. The recliner boasts 330 lb weight capacity and the three=position electric lift comes handy for those who need assistance in getting up from their seat. We love the multi-use side pocket o keep books, magazines, or TV remote. The product is backed by a one-year warranty for fabric and a three-year warranty for lift mechanism. This power lift recliner chair comes from the house of Mecor and it is specially designed for elderly people. The ergonomic design of the chair allows users to recline it to up to 135 degrees for extra comfort. It comes with extended footrests to help you stretch and relax while watching TV or taking a nap. The electric motor pushes the upwards to help seniors and those who have difficulty getting out of a chair, stand up easily. The cover is made of plush and high-quality leather with extra sponge cushioning for optimum comfort. The remote control is easy to use and there are multiple pockets and holders to keep necessary things within easy reach. We love the silent motor that doesn’t interfere while you sleep. Please keep chair 17.71 inches/45cm far from the wall when you use it. The chair will be sent out in 2 seperate boxes. Warranty period: Free accessory replacement at first time within 1 year. This recliner comes next in our list of best recliners for small spaces. It has the potential to boost your home décor and become the centerpiece. It has been created keeping in mind the special needs of disabled and elderly people. There are a plethora of motor-powered adjustments to help you relax in any position. The soft and durable fabric with thick padding adds an air of opulence to the recliner. Whether you want to sit and watch TV or curl up and sleep, this piece of furniture is designed to support your body and provide utmost comfort. You also get various storage options with the chair as there are dual cup holders and special storage compartments for remote, tissues and snacks. What we love most about this recliner is that it comes with a USB charger so you can have your smartphone within reach even while it’s charging. The look and feel of the chair say am the boss of the house’. Once you take a seat, you will just not want to get out of it. The contemporary designed matched with plush DuraBlend fabric makes it one of the best power recliners for small spaces. It comes with one-touch power control to enable you to adjust the recliner to multiple positions. There’s an extended footrest, cushioned armrests and padded back to provide full support to the body while you relax. As the exterior is made of high-quality leather that gets better as it ages so your investment stays safe. You can keep the recliner in the living area, home office, or bedroom as it suits any type of traditional or contemporary décor. This is a classy recliner that secures its place in the list of best recliners for small spaces. 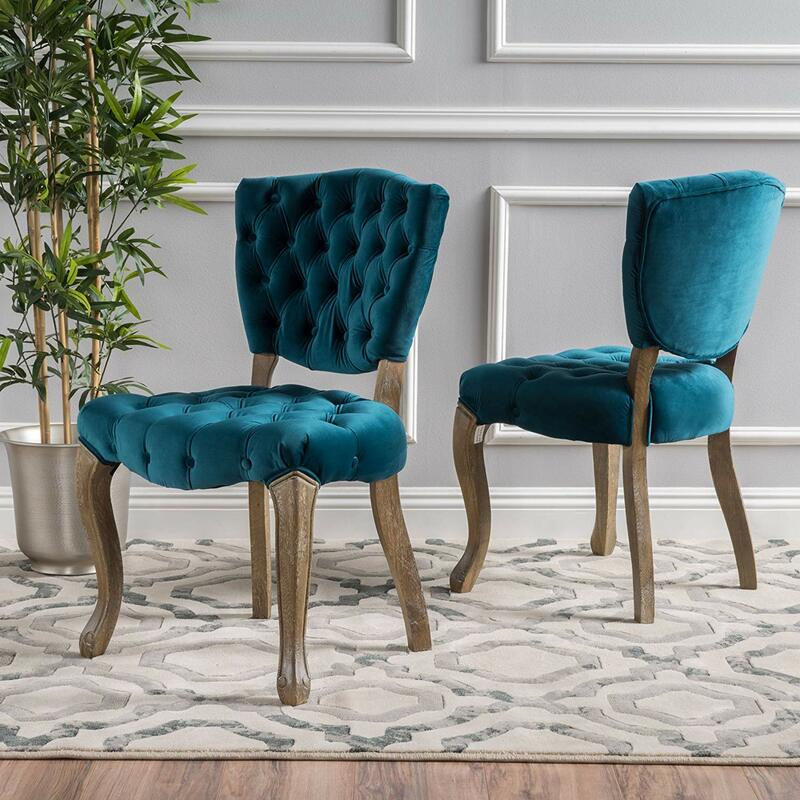 It can add a touch of elegance to any room. The genuine leather cover, rolled up arms and nailhead trims makes the recliner stand out from the crowd and demand attention. The thick foam cushion adds a lot of comfort to the recliner, making it perfect for people with back pain. The generous size of the chair ensures that you can stretch out your body and relax while you watch TV. The simple one-pull handle can make the chair recline with ease and create more space for you to curl up with your dog and sleep. We love the leather exterior that pairs well with sofas, lounges, and chairs. It is no doubt one of the most affordable recliners for small spaces. This cream colored wall hugging recliner looks like a ball of cloud waiting to engulf you with sheer opulence. It is the perfect blend of style and comfort. The leather interior and clean lines make the recliner luxurious and cozy. The high-density foam padding offers multiple positions and adapts to the contours of your body to help you find that sweet spot to lull you to sleep. No matter where you place this recliner, it is sure to become the center of attraction. The recliner is powered by a motor that can be operated by just a push of the button. The chair can be reclined to various positions with little effort. This elegant recliner comes from the house of Simmons, a brand that has been delivering quality products for over 133 years. The sturdy exterior is made of high-quality hardwood materials, and the high-density foam cushioning makes it one of the best recliners for small spaces. The one-pull handle enables you to recline the chair to stretch out and sleep. The padded back and rolled arms provides extra support to your body as you relax. It works great for people with neck pain and back problems. The sophisticated appearance and brown color of the recliner make it go well with any décor. What we like best about this product is that it’s Made in the USA with high-quality standards. The plush and comfortable outer cover, with extra padding in armrest and integrated headrest, makes it a perfect piece of furniture to relax after a tiring day. There’s a simple pull handle below the chair to recline it to a preferred position while watching TV or sleeping. 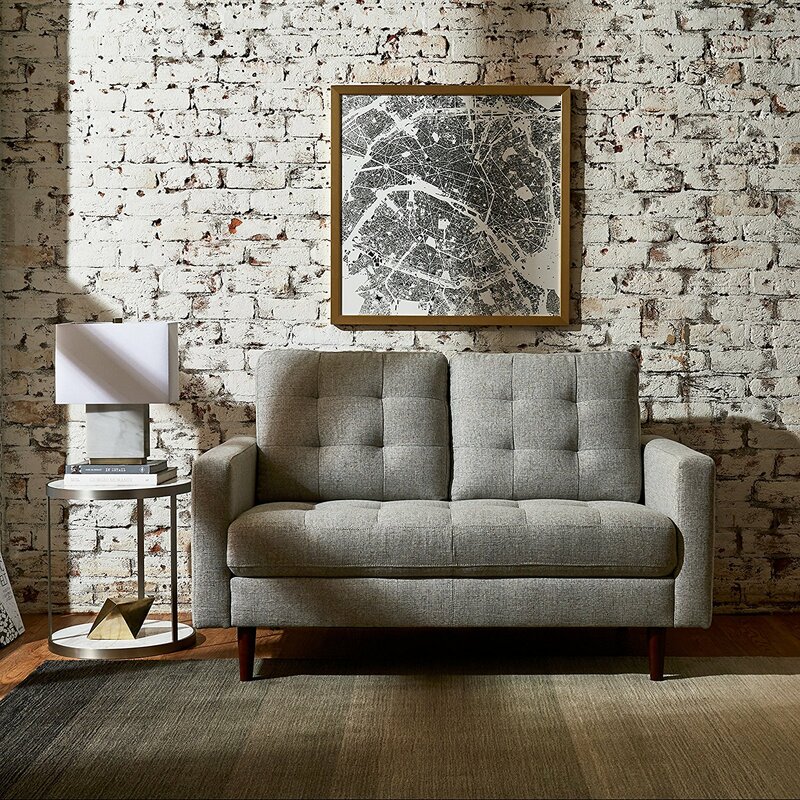 When it comes to comfortable furniture, you can’t beat Ashley. It secures the last, but not the least position in our list of best recliners for small spaces. 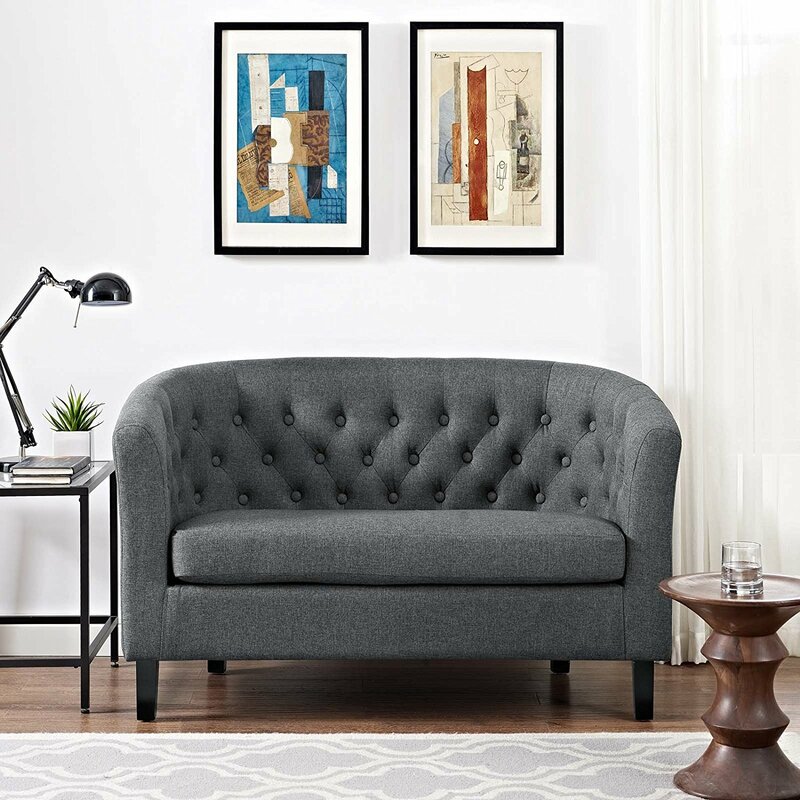 Their signature design, plush upholstery, and sturdy constructions put them above the rest. This is a swivel rock recliner that can go 365 around degrees and a push button can recline the chair for extra comfort. The roomy seating area enables you to stretch out and relax with ease. The perfect blend of polyester microfiber and faux leather add comfort and style to the recliner. The cushioned back and padded armrests enable you to sleep like a baby. We love the contemporary two-tone design and plush brown color that goes well with any décor. They say there’s no place better than home, and these recliners are certainly built to make the home feel better. When choosing recliners for small spaces, make sure you check the measurements carefully because some recliners may not accommodate taller and heavier people. With a variety of fabric and design options, you are sure to find something that fits your style and budget. And if you are looking for a recliner to kick back and relax or a specially designed piece for disabled people, there are recliners for small spaces designed to meet your diverse needs. If you are ready to splash the cash then the Everette Power Motion Recliner can be your best bet. For those with a budget, our top pick would be the Matinee Recliner by Ashley Furniture. Therefore, when buying online, make sure you read the customer reviews carefully to get the best bang for your bucks. Ultimately, a return policy is an assurance to your personal decisions. You only you have to tell whether or not you’re down to take the risk. However, since furniture is costly plus a thing you won’t buy every other day, we recommend buying from sellers that allow returns so you can protect your investment.